Spent the weekend in Derby with horror writer/editor/mentor from the Horror Tree, Stephanie Ellis and Otley writing mate, Martin Fuller (and partners) and Cleckheaton writing mate Neil Walker whose blog I have pinched some pics from as I don’t have a smartphone!!! and I finished up listening to best selling authors Sarah Pinborough, debut novelist Stuart Turton and M R Carey talk about how they plan and plot their way through the twists and turns of their novels. This was a fizzling bubbling event led by the effervescent Sarah Pinborough and Stuart Turton’s description of his time line where he planned his characters’ actions every 2 minutes was awe inspiring- such a level of detail. Great company and laughs, Italian food later. Set in a small village church, where the current day vicar has a face off with the ghost of a C17th witch hunter. 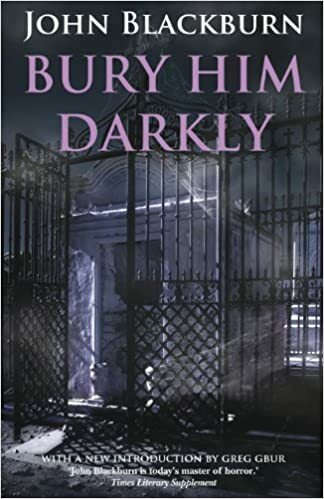 Set in Filey- in an alternate world- which most tourists never see, where secrets fly to the surface for a young photographer who takes pictures of a most unusual funeral cortege. Set in Bingley (renamed as Bradfield) this is a time slip ghost story, which moves between the present day where a school girl who is bullied at home and at school, camps over night in the derelict former hospital and travels back to 1918. The hospital is filled with soldiers being rehabilitated, after incurring terrible injuries on the Front. The e book should be available tomorrow and is priced at 99p, and sometimes I will run free offers on it too as I did on ‘The Runaway Umbrella‘ recently. From melting glaciers to nuclear bunkers, In Search of Frankenstein reveals the present-day landscape that once inspired Mary Shelley’s groundbreaking novel. In the bicentennial year of its publication, Impressions Gallery presents a specially-expanded version of Chloe Dewe Mathews’ acclaimed exhibition, first shown at The British Library, London. Below is the favourite of the photographs on display- taken by Gillian on her iphone- this snow scene of statues and meditation in shades of white was striking and peaceful but also sinister and thought provoking. Oh how I loved these comics and annuals as a 1970’s girl- cutting the pics out, folding the tabs, oh- it was fab and so low tech and satisfying. brought it all back to me in a flood of happy memories. and this weekend seeing as how we were accidentally cut off from the internet- I have done some reading, also done more housework, baking and dog walking than ever- cos having no working internet I had time to fill- or kill. It was like the 1970’s or 1980’s all over again in a 48 hour time capsule – spooky. This book started off as a murder investigation segued into a historical mystery and lost treasure then became a supernatural possession and finally an alien invasion all in less than 160 pages and though that might sound confusing – it wasn’t- but it was exciting and entertaining. I notice that a few of his novels are available now on kindle for download -so I’d recommend you start there with the cheaper ones- but Blackburn is due for a rediscovery and maybe I’ve spearheaded the movement! What a fantastic opportunity and how much I enjoyed it- invited by Tina Watkin who runs (amongst her many varied activities) Bradford Writers’ Circle onto her Thursday afternoon radio show. It’s not not an interview as an opportunity for a relaxed chat in front of a mic (but with a cuppa) about – in my case the creative writing comp I’m running with the Craft House, my books including Badlands and Deadcades (with an unexpected opportunity to read from Badlands) and the courses I teach. I was asked to talk from 2pm-2.30pm but then was told I could carry on till 3pm-which was lovely. Gill James of Bridge House Publishing has released a book trailer on youtube to promote their latest anthology ‘Crackers’– which I have a story in – in fact it’s the first one in the anthology – Angel’s Wing. Final adjustments have been made to the galley of Coffin Bell ONE and the stock order has been placed. Expect your copy (if you are a contributor or ordered one) to arrive in 1-2 weeks. If you haven’t ordered yours yet, you may do so via the yellow BUY NOW button below. 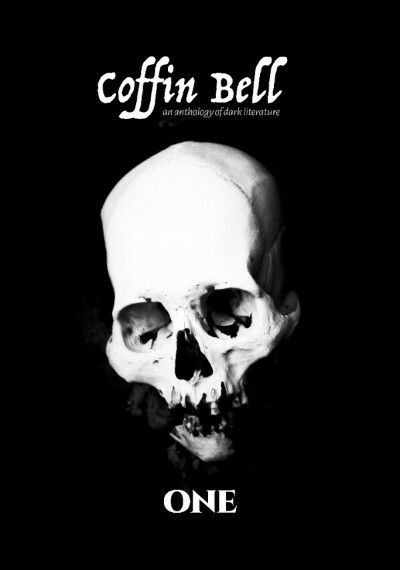 click above link to order a copy or read stories for FREE on the Coffin Bell website. I gave it 5 / 5 stars- it’s a gripping rollercoaster twisting spiralling read. Set in snowy Scotland. Set in the remotest part of Scotland you could ever want to visit- where only two staff run an exclusive lodge for parties of guests- you have the claustrophobic setting similar to Christie’s ‘And Then There Were None’ for when the snow comes in deep and crisp and even in The Hunting Party no one is going anywhere. All guests at Miranda’s New Year’s party know each other, from uni days, or they think they do. They are a tight knit group who have drifted somewhat over the years, but New Year always brings them back together. However this year it won’t. The narrative is told from several characters’ viewpoints (including the two lodge employees who both have troubled back stories which are gradually revealed) and this is n o mean feat for Lucy Foley to pull off. There is a lot of subtlety and shading in what we the reader are told, what the characters know and what they should know but deny and what they can work out. 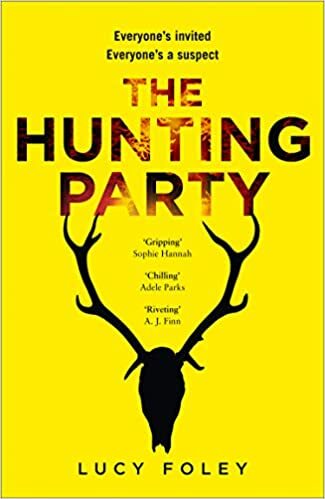 This is an addictive entertaining read which you don’t want to put down, I read late into the night wanting to uncover the hidden layers of this group’s relationships and the motives for murder. The people you think you know best can surprise you- beware, keep a close eye on your family and friends. Trust no one. Out from Bridge House Publishers this anthology has the theme and title of ‘Crackers‘; and my story opens the book – Angel’s Wing which is a feel good/magical tale. Every year we pick a very vaguely Christmas-related theme for our annual anthology. Then we invite our writers to subvert it. In this collection, they’ve certainly done that to the extent that we almost had a picture of cream crackers for the cover. Our theme this year is “crackers”. So, we have Christmas crackers, cream crackers, cracking dresses, a cracked antique and many, many other interpretations. We hope you will find this a cracking good read. and also on amazon, my children’s e book The Runaway Umbrella, for 7-11 year olds, is available as of tomorrow Tuesday 13 November to download for FREE for 5 days. If you do read it please leave a review, on amazon, on goodreads, on twitter, on facebook, on the side of the bus you catch, anywhere really. Reviews matter to writers. Writers are tough people, we are used to rejection and stonewalling from editors, agents and the like. We do not take criticism personally because we know it is only a particular submission that is not up to scratch or does not fit the publication, not the writer herself.